If Lightbox isn’t showing press the comma (,) key or the Lightbox button. Click the Project tab and then double-click the DefaultSphere project. It will be loaded into ZBrush. In the Tool > Geometry sub-palette, set the SDiv slider to 1. 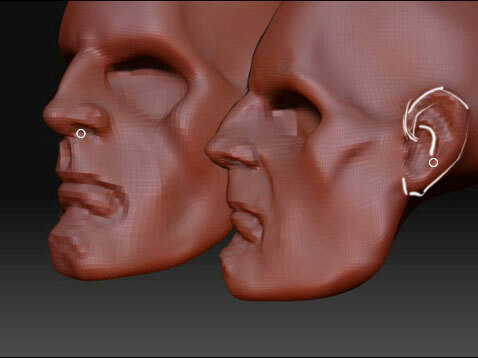 We are going to start sculpting at the lowest subdivision level. 1. Select the Move brush in the Brush palette. The simplest way is to press B on the keyboard to bring up the Brush pop-up palette, then click M on the keyboard followed by V.
2. Symmetry should already be turned on. If it isn’t, you can turn it on by pressing Transform> Activate Symmetry. By default, it will be across the X axis. 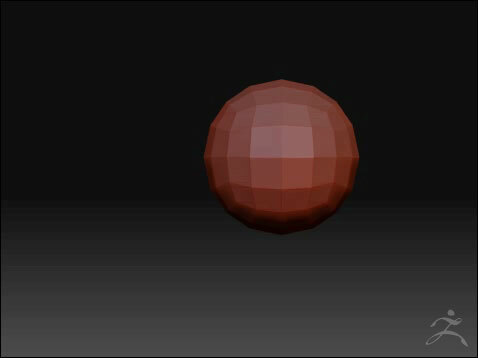 You should have 2 red dots on either side of your sphere. We will call this the front view. 3. Rotate the model to a side view. Press Shift to snap it to a full orthographic view as you rotate it towards the side view. 4. 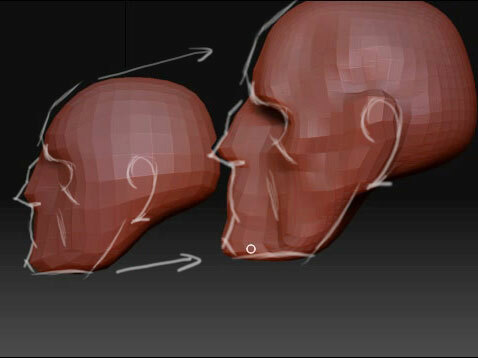 With the Move brush we will pull out the jaw and establish the main angle of the face. 5. Rotate the model so you are looking at it from a front view. 6. 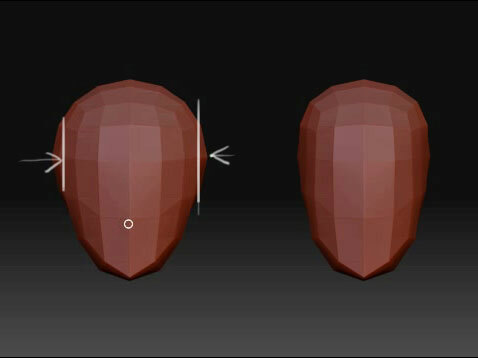 Using the Move brush, flatten the sides of the cranium inwards. 8. Select the Standard brush in the Brush palette – you can do this by pressing the B–S–T keys on the keyboard. For this step you can simply use the Standard brush. The white lines show you the major forms we can look to add at this point. 9. 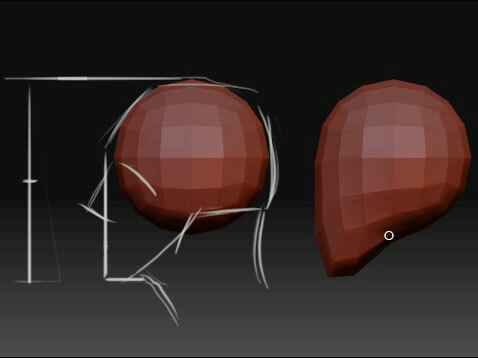 Hold ALT + Click and drag your brush on the surface of the model to carve into your model. Release ALT to add volume back to your model. Press Shift and brush on your model to smooth it out. 10. Continue sculpting your model while pressing ALT to cut into the model, SHIFT to smooth it out, and releasing ALT to add volume to your model.